Heineken is a Dutch company and the third largest brewer in the world. The legacy of Heineken’s design credentials led the brand to pursue its roots in design. In 2011, Heineken’s aluminium bottle, which was available in exclusive bars and clubs internationally, won the Cannes Lions design prize. Since then, the brand has strengthened its position as a premium brand in the world of clubbing by imprinting design as a key part of its brand DNA. A global research project was born using the InSites Consulting community approach (known as consumer consulting boards, or CCB), with 120 club goers living in the 12 trendiest cities (including Sydney) on the planet, working together as a source of inspiration and a springboard for ideation for the design team. The design team for the project was crowd-sourced from the four global design capitals of Tokyo, Milan, Sao Paulo and New York. 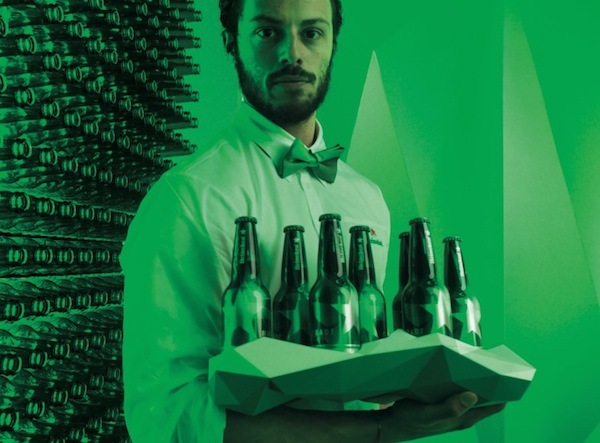 Young, up-and-coming designers submitted their portfolio to Heineken via their Facebook page. Finally young designers for the project were selected using live ‘PechaKucha’ events in each of the four cities. The resulting multi-skilled design team of 19 emerging product, graphic, fashion, interior and motion designers, worked together with Heineken’s senior design team and a senior team of well-known, established designers. The project aimed to develop a relevant and impactful understanding of club design by understanding the needs of clubbers and co-creating a visionary nightclub concept to enhance the nightlife experience. The Heineken team needed to understand whether creative concepts from the design team would be relevant to club goers. The challenge was in making certain the research approach was sufficiently engaging to ensure the participation of young and trendy clubbers from around the world, to allow for relevant and honest conversations, to act as a briefing, a source of inspiration and springboard for ideation for the design team. First, longitudinal online qualitative research makes it possible to conduct a global project, in which clubbers were ‘followed’ over a longer period of time, in a cost- and time-efficient way. Second, the current generation of youngsters (Generation Y) are ‘digital natives’. The web is their second home. Talking to and working with other people in the online space feels natural to them. The asynchronous connection in a community allows participants to join the online discussion when and where they want, fitting their lifestyle. with an aspirational brand and facilitated the co-creation of a nightclub. The CCB comprised people who were interested to participate and who could inspire the design team with interesting stories: design-savvy youngsters, living in one of the 12 trendiest cities on the planet, going to a club at least once a week and non-rejecters of the beer category and Heineken. And fourth, the online nature of a CCB allows for extensive gamification to make the activities fun and engaging, resulting in extremely rich discussions. To engage participants over the course of three weeks, InSites Consulting took them on a journey (Schillewaert, De Ruyck, Van Kesteren, Ludwig, 2010). On the community platform they shared ‘their current clubbing experiences, ‘the role of clubbing in their routine’ and ‘their view on the ideal nightlife journey’, and gave feedback on the designers’ first sketches. Activities included questions, reviews, (photo) diaries and discussion battles. To develop a holistic view of their needs, a movie metaphor guided the participants through different weeks – from selecting actors in the ideal nightlife journey, to scenery and a scenario for the perfect night out. To communicate outcomes of the research to designers in an impactful way, InSites Consulting looked beyond traditional reporting. Twenty-eight key learnings were drawn from the analysis, each linking a challenge for the design team to needs of their audience. These learnings were integrated in a ‘Nightlife Journey Map’ – spread over six touch points – reported as an interactive infographic app, which provided a vivid, but structured visualisation of a service user’s experience (nightlifejourney.com). The app guided designers through the six phases of a night out, conveying information about the role of specific scenes in the night and clubbers’ expectations in specific moments, while also emphasising frictions clubbers encountered during their journey. the bartender to serve you. Using this insight, the Heineken team joined the online community to co-create a solution comprising a bar where clubbers tapped a bottle-shaped icon on an interactive bar surface, which activated pulsing, concentric circles to attract the server’s attention, indicating your place in queue. When the beer was served, the bar tender tapped the icon to close it, showing the order was filled. InSites Consulting was awarded the CCA Co-Creation Award 2011 and Best Presentation at the 8th International Conference on Design and Emotion 2012.